GLASTONBURY, CT, October 27, 2016 – Gemma Power Systems, LLC (GPS), together with representatives of Panda Power Funds and local and state officials, today celebrated the commissioning of the Panda Liberty Generating Station. The power plant, located in Towanda, Pennsylvania, is an 829 MW natural gas-fired combined cycle facility that was completed in June. It has been providing clean, reliable electric power to more than a million electric customers. Panda Liberty was one of the first such plants to be developed specifically to take advantage of the Marcellus Shale Gas formation. Gemma Power Systems, LLC through a joint venture with The Lane Construction Corporation, was the Engineering-Procurement-Construction (EPC) contractor for the project. “It’s a very special day when we celebrate the completion of a state-of-the-art energy facility and the benefits it brings to the citizens of the Commonwealth of Pennsylvania,” said William F. Griffin, Jr., GPS Chief Executive Officer. “On behalf of the men and women of Gemma Power Systems, we congratulate Panda Power on this achievement,” he said. “We’re grateful for the opportunity to again demonstrate our teamwork, creativity and perseverance in delivering a world class power project,” Griffin said. The Liberty facility is the first United States installation of the Siemens H-class combustion turbines in single-shaft configuration. The single shaft power train design makes the plant among the most flexible and efficient natural gas fired generating plants in the Unites States. Power Engineers provided detailed engineering and design services for the project as Gemma’s engineering partner. Gemma Power Systems, a wholly owned subsidiary of Argan Inc. (NYSE: AGX), is a leading Engineering, Procurement and Construction (EPC) company providing innovative solutions for the power and renewable energy industry. Our wide-ranging and comprehensive experience comprises 14,000 MW under contract and installed capacity including combined cycle and simple cycle gas turbine generating plants, biomass, solar facilities, wind farms, biofuel plants and environmental facilities. Additional information about Gemma Power Systems can be found at www.gemmapower.com. 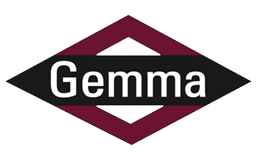 Follow Gemma on Twitter @gemmapwr.